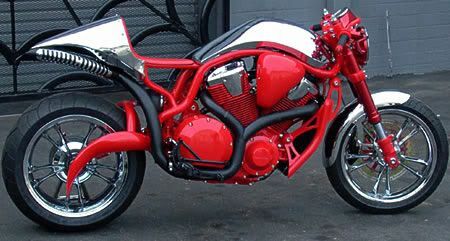 Everyone knows about the CFL'S, El Diablos, Dominators, etc..... but how about this bike? 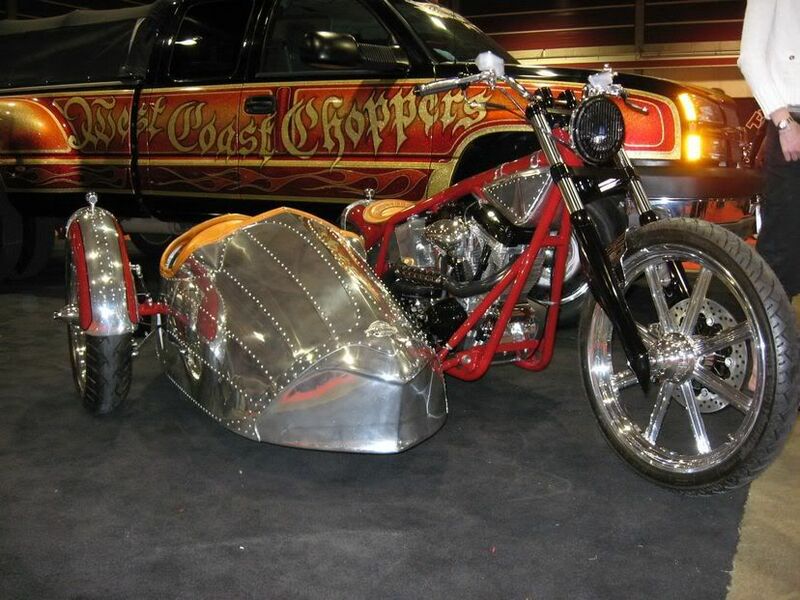 Jesse retired to his West Coast Choppers workshop and produced the VTX Cafe Racer, first shown at the Cycle World show in Long Beach. 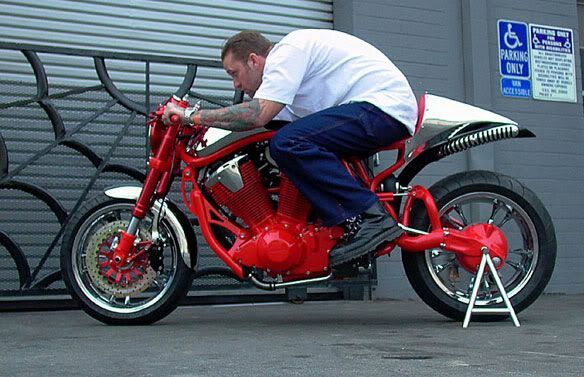 It has an airbag rear suspension, an inboard rear disc brake on the driveshaft, handbuilt frame and bodywork, but in the end, it’s a very interesting example of another direction for these big cruiser V-Twin engines the manufacturers already have in their back rooms. Although there are many things about this bike that would never see production, it shows that cruisers aren’t the only place for these engines. 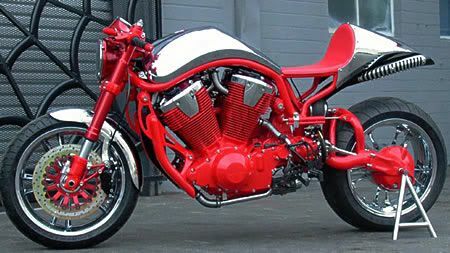 Could Honda build something like this? Sure. Will they? Chances are slim. They should, but they probably won’t." I always liked that bike. Big fan of the "custom" cafe style as opose to the run of the mill, custom crotch rockets for sell on every block these days. I like the shaft drive, and the air bag, rear suspension. Hell of a frame, too. 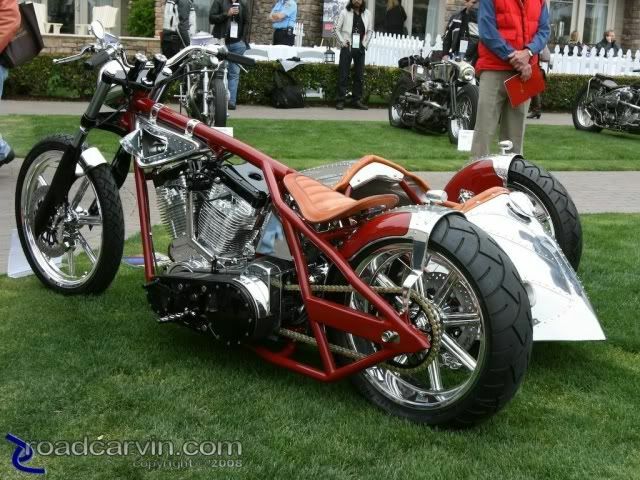 There are some sport bike choppers that look good too - that drive shaft angle needs another run thru the shop. 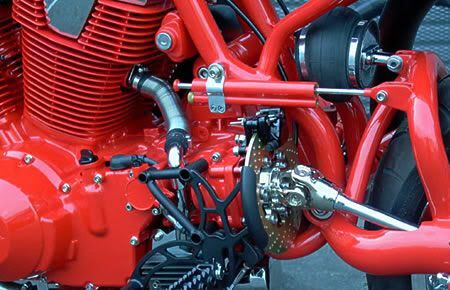 When the suspension is fully collapsed, that shaft will end up straight back. That angle it's at in the pics, would probably be the most drastic since it seems the rear of the bike is at it's highest possible position. 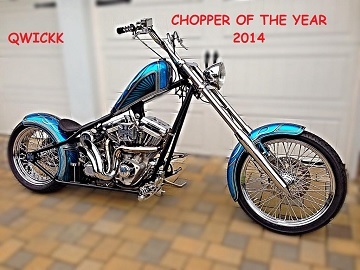 Here's another "Not the Normal" WCC build. It is based on the Dominator frame but that's where the familiarity ends. The other side:.........................I think it was called the "Airstream" after the old campers. you think that tank could even hold a gallon??? I see a compartment in the left side, so fuel may only be in the right. 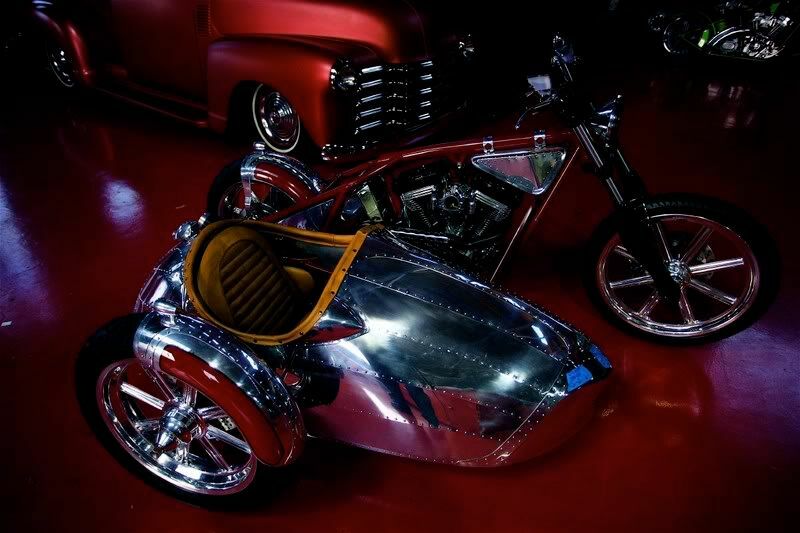 Maybe that's what the side car's for,......to carry an extra fuel jug.